On the menu this morning: "real", local strawberries! Our local strawberry producer called us yesterday to tell us that he picked the first batch of this year's crop! We appreciate the efforts of our far away neighbors in Florida & California to provide us with fruit almost year-round, but there is nothing so tasty as 'real', local fruit freshly picked! Our guests will have strawberries this morning and if you are staying with us this weekend, expect to see FRESH strawberries on the breakfast menu. The Harrisburg Artfest will be held this weekend on Front Street. Bruce Garrabrandt, one of innkeeper friends at The Artist's Inn in Terre Hill PA, will be selling his whimsical art work at Artfest. 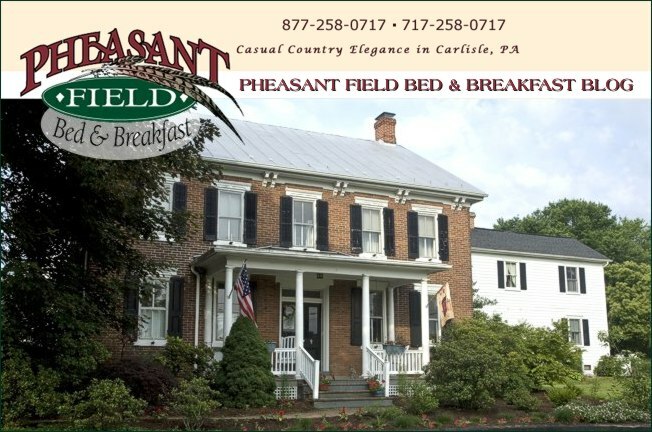 Stay with us at Pheasant Field Bed & Breakfast this weekend - out of the hustle-bustle of the capital city - and visit Harrisburg's fun art festival. Say "hi" to Bruce from us!